OMGYOUGUYS. You know what our plans are today? ABSOLUTELY FRIGGIN' NOTHING. We're going to read! We're going to splash in our lil pool! We're going to lie around gaining weight! 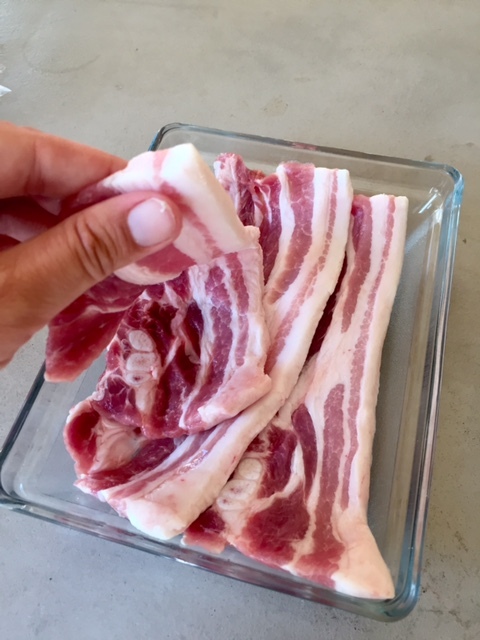 Which brings me to breakfast: today's trigger warning is brought to you by the letter pork. When we were at the market on Sunday, we were looking for bacon at one of the butcher's stalls and saw the above. 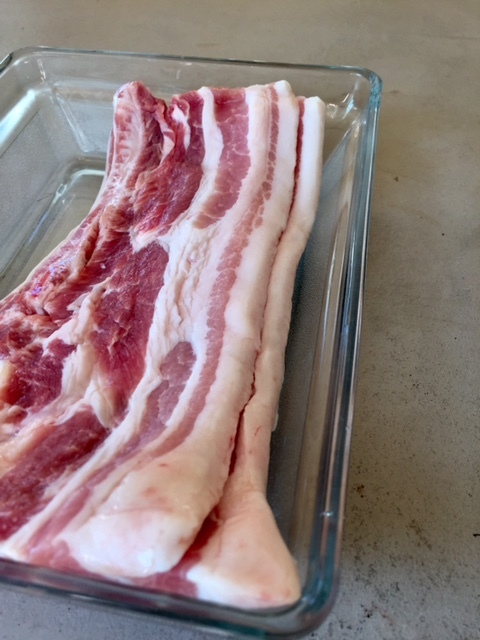 It *looked* like bacon, and the guy said it was pig when we asked (if there's one French word we know, it's porc), so we decided to give it a go. 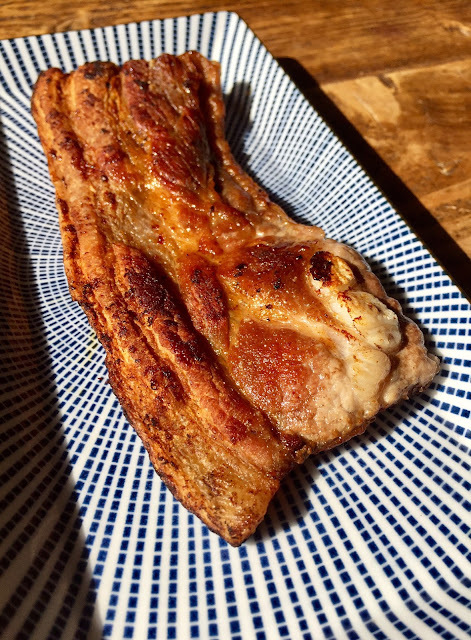 We googled the name written on the package - ventreche - and it turns out we have bought a cut of meat that's a cross between SMOKED PORK BELLY and PANCETTA. See you tomorrow! On the agenda is a trip to the garden shop (to find weapons that will help me in my ongoing battle out back) and the Bergerac market.